Why do we allow a handful of politicians to make decisions about the fate and future of our natural heritage, decisions that will be condemned by generations to come? How come we don’t have the guts and solidarity and wisdom to stop this madness? After a hard struggle with cancer, our dear friend and comrade Guðmundur Páll Ólafsson — naturalist, author, photographer and a truly genuine environmentalist — passed away on August 30th, 71 years old. Guðmundur was a pioneer of environmentalism in Iceland and a big supporter of direct actions, which he also practised himself. Among many of his great contributions, he relentlessly pointed out the destructive impacts of damming glacial rivers and thus restraining their natural flow, directly affecting fish stocks as well as rivers’ role in binding greenhouse gases. 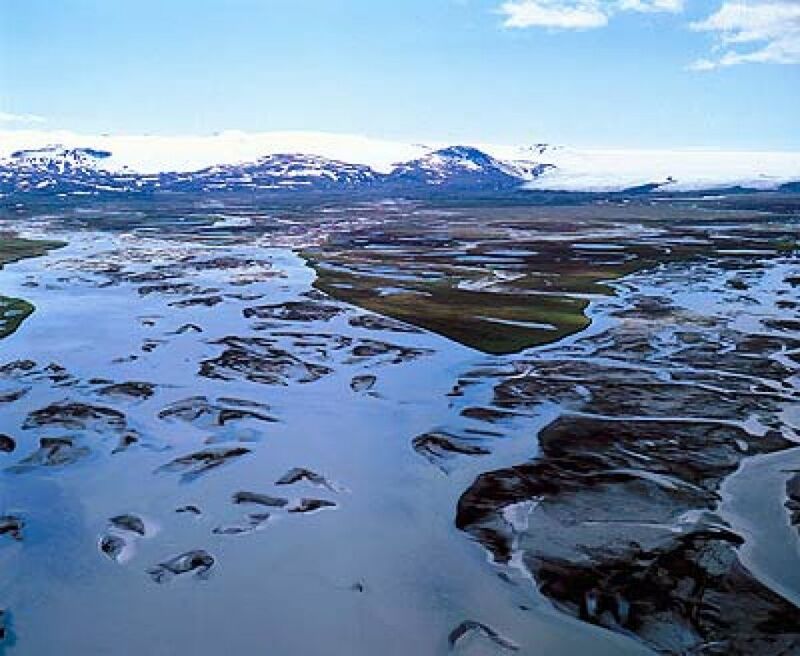 As such Guðmundur played a key role in the deconstruction of aluminium and energy companies’ greenwashing attempts, pointing out that what they generate by harnessing glacial rivers is not green but indeed grey energy. As an author of a good number of books, Guðmundur also played a great educative role. 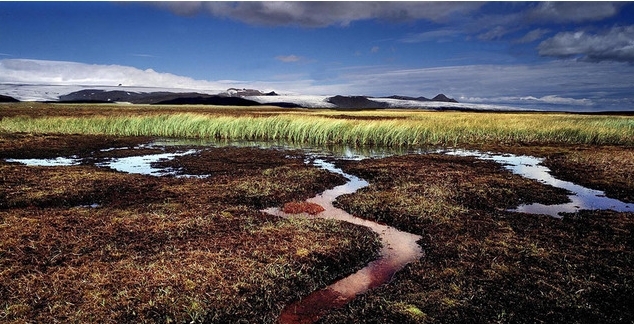 His books, which are illustrated by his own photographs, take on issues such as the seaside, bird life, Iceland’s highlands and the Ramsar listed Þjórsárver wetlands, which have been besieged by Landsvirkjun (the National Power Company) for more than half a century. For the last couple of years he travelled around the world due to his work on a new book entitled ‘Water, the World and Us’, for which he collected extensive knowledge about the situation of Iceland’s rivers, the country’s main arteries, from glaciers to deltas, from fluvial sediment transport to fishing grounds — and especially how all of this is interwoven and integral to all life. 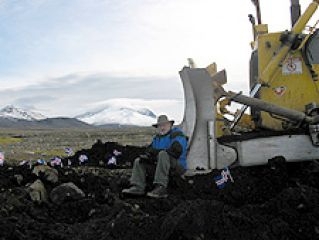 Wherever one looks into the struggle for the protection of Iceland’s nature — the successful struggle to put an end to plans to dam river Laxá by lake Myvatn in the early 70’s, the fight against the construction of the Kárahnjúkar Dams, the campaign to save Þjórsárver wetlands and river Þjórsá — the list could be much longer, Guðmundur’s name is always prominent, ranging over an extensive area from written and spoken words to symbolic and direct actions. Most recently he voiced his serious criticism at the process of the creation of Iceland’s Energy Master Plan — a plan which, despite its official aim being to settle the constant conflict between nature conservation and energy extraction, is set to have devastating results for Iceland’s glacial rivers and geothermal areas. 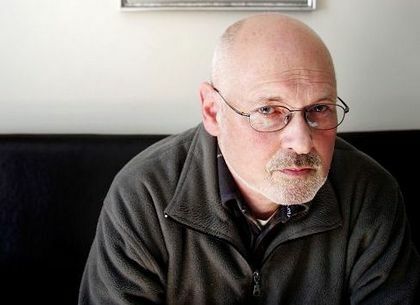 While we at Saving Iceland, as other environmentalists, mourn this now gone friend, some one you could always count on being a mine of information about what ever you wanted to ask him, we strongly believe that the most honest and respectful way to honour Guðmundur Páll’s memory — keeping his name and works alive — is to continue his and our struggle and not watch passively as the authorities, energy and aluminium companies march forward in their crusade against the wilderness. This we owe him for his deep love of the Icelandic highlands, a love that nourished the spirit behind the passionate and unselfish work of his life. The Saving Iceland network send deeply felt condolences to his family. Damming of Lower Thjórsá River on Course in Spite of Fierce Local Opposition? Last Tuesday, Verne Holdings, a joint venture by General Catalyst and Novator, signed a 20 billion Icelandic krónur (306 millions USD) agreement with Landsvirkjun, the National Energy Company, Farice and Keflavík Airport Development Corporation on establishing a data center by Keflavík International Airport. 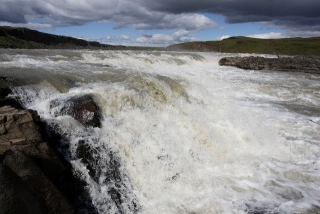 According to the contract Landsvirkjun will be providing electricity for the data center, around 25 MW per year and the energy is supposed to come from Landsvirkjun´s three planned dams in Þjórsá river. 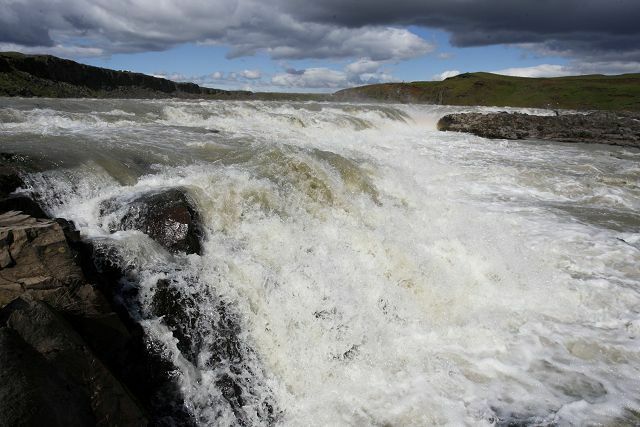 These 25 MW are less then 10 percent of what Landsvirkjun plans to create with the Þjórsá dams. ALCOAs web in the northeast. Click for larger.